We woke up to a wild storm and heavy rain. By check out time the few drops didn't bother us so we walked to the station in Florence to book in our luggage before we caught the train to Dicomano. After exploring the "south" side of the Arno for a few hours, Nicole met us at the Santa Maria Novella Station an we headed off to her town of Dicomano. 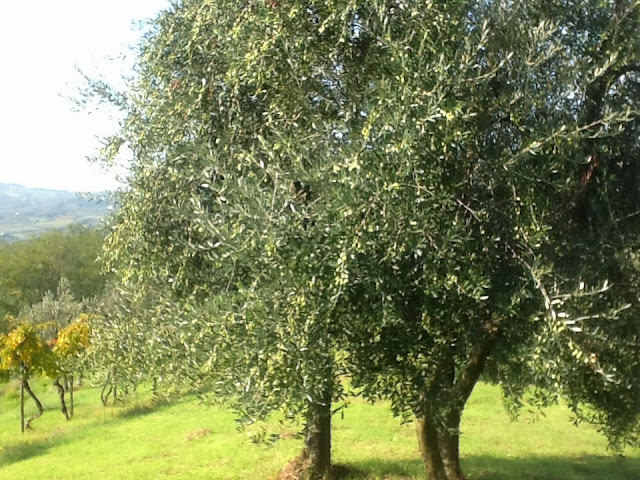 The grape picking season has finished, however the olive trees are laden with green olives ready to be picked. Chestnuts are also ready to be harvested. That night Nicole cooked us a great French-Italian meal and we caught up with past and present experiences while Buddha (the dog) slept at our feet. 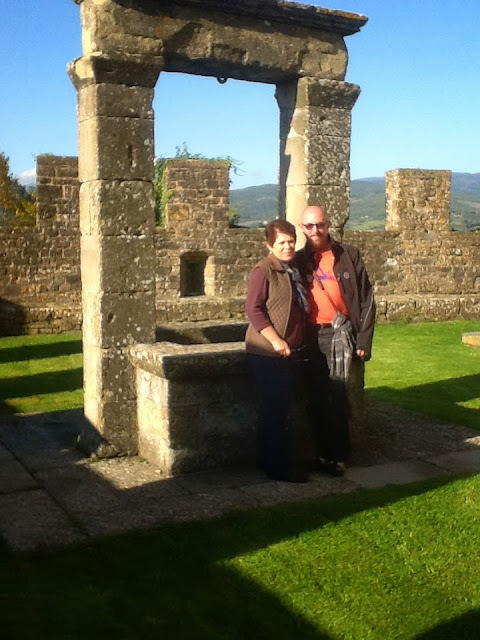 After a sound sleep that night we prepared to explore the Tuscan countryside. 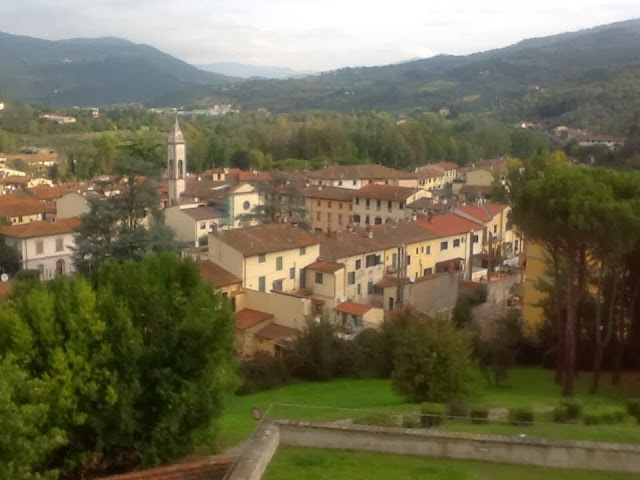 Dicomano is a small town of about five thousand residents. Most are retired and everyone seems to know each other. Exemplary food, fashion and friendship dominate the place. We met Nicole at Cafe Centrale across the street from where were staying, for breakfast. Nicole's usual place for a great coffee and a croissant in the morning. From there we headed off to Picclo. 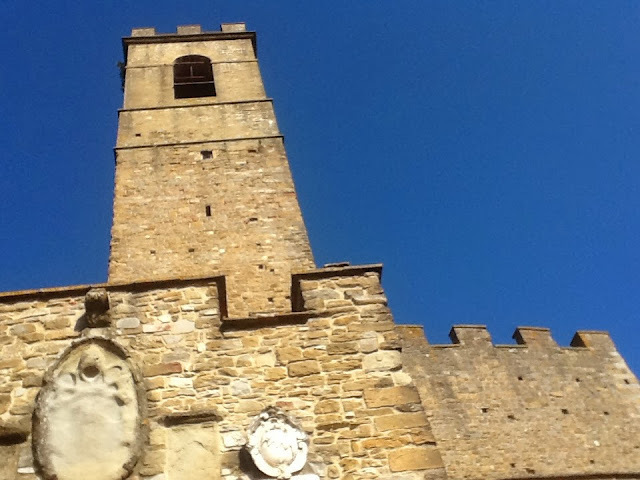 The main attraction at Picclo is Il Castello built in the tenth Century by Count Guidi. The castle is awarded national and international acclaim because of the library which contains hundreds of medieval texts and manuscripts. After we explored the old section of Poppi and the Abbey of San Fedele we had another great meal, this time at Ristorante Albergo Casentino opposite the castle. Good food, good wine and good company is what Italy is all about. Before we left Dicomano and the early morning storm we visited one of the four churches in the town to view a fresco made by the painter Massimo Buccioni who we met two day's earlier outside his studio. He specialised in fresco painting and oil painting. 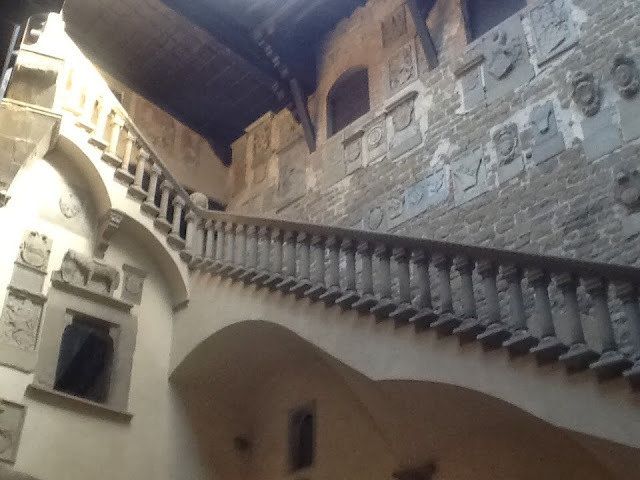 Back in Florence we walked from the Campo di Marte station to a B&B not far from where we stayed before we left. It was a beautifully decorated new apartment and the host Simaletta, and her husband Andrea helped us settle in. Nicole and Karen decided we were hungry again so we walked to Chloe's restaurant again for lunch.On the way we stopped at the Foundling Hospital (designed by Brunelleschi). After a great sleep and a enjoying breakfast with the owners, we were ready to walk to the train station to leave for Torino.